Stephen is a professional, EMMY award-winning cameraman with credits on many of Sir David Attenborough’s BBC nature series, such as Frozen Planet and The Hunt, and has travelled the world. In 2009 he decided to live more sustainably and to turn his lens to film nearby wildlife in his local area and further afield. His knowledge of wildlife behaviour, ethical approach of only filming wild animals, honesty and humility are admirable qualities. I must admit that I was very daunted before I first worked with him, due to having been given such a prestigious award, but his quiet manner made me feel at ease. During conversations, he encouraged me to have confidence in my ability to observe, note and photograph wildlife by asking me questions about water vole behaviour. He told me that I was exceptionally good at spotting wildlife during the filming of otters. On learning that he was making a film about meadows, I was delighted. He was especially keen to make this film because of deep concern that 97% of our traditionally managed grasslands have been lost through intensive agriculture since 1945. He wanted to film the wildlife that depend on these all too rare grasslands and whose biodiversity we ultimately depend on for our existence. As I had already been involved in three wildflower meadow restorations, because of the same concern, I was very keen to assist when needed. Initially, Stephen wanted to film roe deer (Capreolus capreolus), one of Britain’s native deer species often found in meadows. I knew of a great location in Oxfordshire where there were good numbers of them. We began looking for a pregnant doe in May at dawn, as he was keen to film a fawn shortly after birth. Amazingly, a pregnant doe can eat buttercups at the astonishing rate of almost two thousand an hour and one was filmed eating this high protein nutrition for her developing fawn. After she had given birth in the night, Stephen found her two young fawns who were curled up and hidden, but filming them took almost a week of constant vigilance and then another long day before close-ups were achieved, as their welfare was put first. Roe deer do not make life easy for wildlife cameramen, or field assistants! I began looking for a pregnant roe deer about to give birth in nearby fields and managed to locate one, but she was not in the best filming location with the possibility of a clear view. I began to learn how important it was to assess a site before trying to film wildlife, so that I did not waste Stephen’s time. At times, I was able to watch and learn incredible filming techniques from a distance, as he stood in plain sight of the deer by a gate and yet seemed hidden to them because of his calm manner. Even when they finally noticed him, they seemed unconcerned and would often continue grazing. Animals have keen senses and know what your intentions are towards them, so they will not hesitate to flee when they feel threatened! Stephen also generously gave me advice on how best to film wildlife which I was deeply grateful for and use to this day. Being a field assistant is rewarding in so many ways. When this skilled wildlife cameraman had settled into the environment it was hard to locate him, even when he had given me directions by text message, so that I could observe a roe deer and her young. Or a pair of bucks that might be gearing up for a rut, so that I would know what to look for whilst working out in the field on my own. 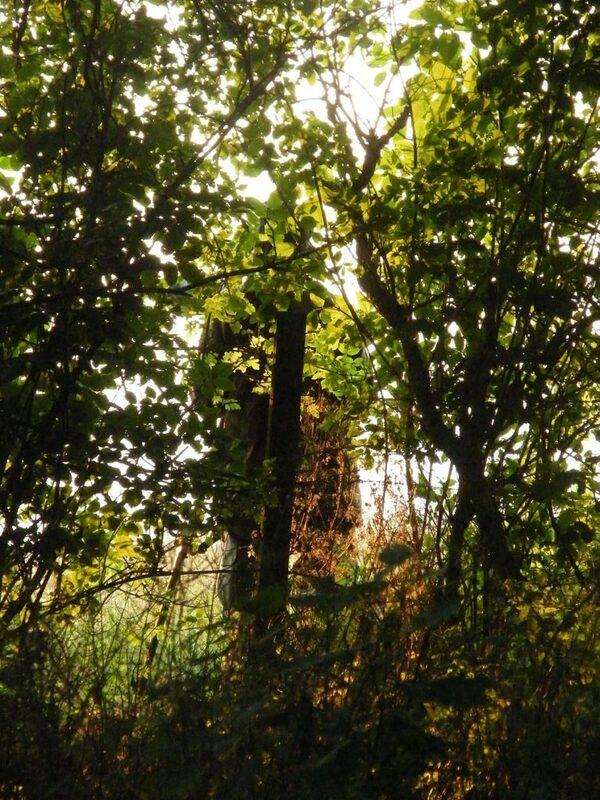 On one occasion, he had settled in a hedgerow to film them and blended in so well that I almost walked past him. His innate, calm ability to blend into his environment in plain sight is almost as mystical as the roe deer’s ability to vanish before your eyes – who, as the year progresses, seem to be able to pass their antlers off as the heads of dock plants and then magically disappear! I began to realise how slowly and calmly I had to move towards the roe deer, then remain motionless, in order to get close enough to observe behaviour – and adopted the same very slow way of walking, or moving, of this wildlife cameraman when it became necessary to try and locate the deer again. I still use this technique now. You cannot film all the behaviour hoped for at the same time of year. So it was necessary to return in late July to film the rutting season when roe deer mate. Interestingly, although mating occurs in this period, the fertilised egg does not implant and grow until January. I left Stephen looking for roe mating behaviour and headed to a field further down the track. I did not manage to see roe deer mating in full view for filming purposes, but almost found myself unexpectedly sandwiched between two males in a potential rut towards the end of the evening! I tried to text Stephen to alert him that a rut might happen, but he was filming roe deer at that precise moment. Two males were exhibiting territorial behaviour: one was displaying sideways head-bobbing, defending his territory and was becoming aggressive. The challenging buck, although looking as though he was going to lock antlers, lost courage and decided to head off, jumping a fence close to my left shoulder! As I had been unexpectedly sandwiched between them, just prior to the challenger running away, it was fortunate for me that I was unharmed, as I had been warned that their antlers can cause serious injury! It was during these moments that I wished that I had the same level of expertise and technical skill with a camera to be of more help, so that this behaviour could have been filmed and used. After about a week of filming, I received a joyous text from Stephen who told me he had just filmed a pair of roe deer mating which he had been hoping to film for many years. He was beyond happy. As was I, having recommended this location as excellent for roe deer! This was a moment that is very rarely seen or captured on camera. He had managed to film the roe deer so clearly, it is as though you are there, looking into the buck’s eyes when he walks towards the camera at one point. His large, soulful-eyed beauty melts your heart. This is a very special encounter and is filmed so poetically. Finding the star of the film! The next species I was delighted to assist with capturing on camera was the amazing nesting behaviour of the red-tailed mason bee (Osmia bicolor). One of the main factors for filming this sequence was the weather which was unusually cold for May. So the filming was stop/start over almost three weeks, as the temperature rose or fell and the red-tailed mason bees were present or absent. As the site was not far from my home, I was able to alert Stephen when the bees were active, having checked beforehand, to save an unnecessary journey. The amount of time, patience and dedication it takes to capture behaviour on camera is not obvious whilst watching a film where everything appears to happen seamlessly, during a short period of time, thanks to skilled editing. If you are considering becoming a wildlife cameraperson, or field assistant, you are going to need endless patience, as it can take days, months, or even years, before you achieve footage of specific wildlife behaviour. But the feeling when you do achieve this or assist in the achievement, is one of walking on air! Part of my work as a field assistant was to locate the red-tailed mason bee habitat and empty snail shells before filming could commence. It is with thanks to the expertise of Richard Comont of the Bumblebee Conservation Trust that I had prior knowledge of this location. I had to try to keep an eye on where these bees were going for pollen, or collecting leaves. They are very fast fliers which made it difficult to follow exactly where they were going to collect the leaves. 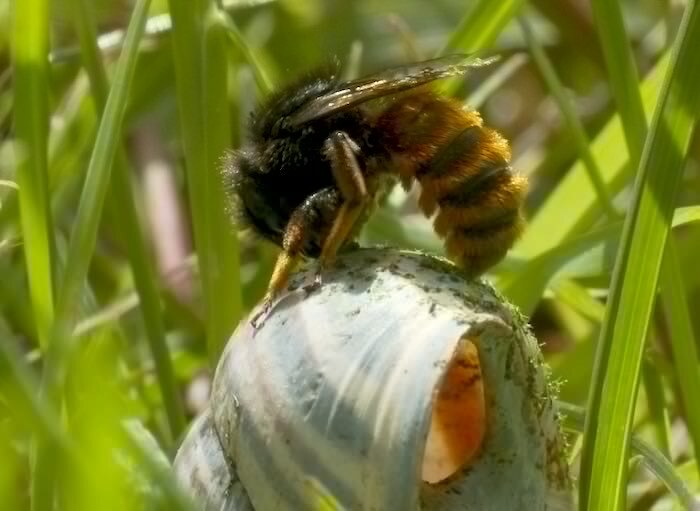 But we managed to see and so catch almost all the behaviour necessary to show the ingenuity of this shell nesting bee. Watching a red-tailed mason bee find an empty snail shell to nest in, that she then camouflages by spreading a mastic of chewed leaves and applies them as dots across the shell is remarkable enough. Even more amazing is that she then proceeds to provision the shell with pollen and nectar as a larder for the grub. She seals the nest chamber with small stones which she finds and flies with. She then locates small, dried pieces of grass which she carries like a tiny witch on a broomstick through the air and begins thatching the snail shell until it is finally hidden. This has to be seen to be believed! A phenomenal, intelligent, performance so exquisitely filmed was no easy task. When these bees had disappeared for the day, I noticed an ashy mining bee digging a nest which was being invaded by a parasitic fly and Stephen began to film this interesting behaviour, too. There is so much insect action in organic wildflower meadows to potentially film! On my first assignment: taking Stephen to film my local water shrews. Much to my astonishment one appears right on cue! Going to look for the tree-climbing water voles and one is in the tree when we arrive! Actually finding a great green bush cricket to film: 5 cms long and masters of camouflage! Looking for a barn owl. Two fly over our heads and then circle nearby. I could not believe my eyes! I began to quietly wonder if Stephen was some sort of wildlife whisperer, as I have spent hours looking for great green bush crickets for my own photography and failed to find one on many occasions! One of the joys of being a field assistant is unexpected wildlife encounters. I had walked about half a mile from ‘base camp’; to check on a field where I had previously seen roe deer, just in case they had gathered there towards the end of the day. There was no sign of any, so I headed back along the lane as the sun was beginning to set. Much to my surprise, a female barn owl suddenly appeared ahead of me and landed on one of the trees alongside the road. I gasped in awe at her ethereal beauty as she took off, flew ahead of me up the road and then settled on another tree. Each time that she landed, the owl looked uncertain about where she should go, or what she should do next. As I walked further along the lane this happened three more times before she finally flew away across a field to hunt. It was a heart-lifting moment. I was overjoyed to have had such an encounter as I love to watch barn owls. I then realised that she was a youngster who had just left the nest and was seeking new territory. During another day’s filming, I saw a barn owl close to ‘base camp’. I returned the following year in early June to the same field and hid myself in the hedge-line, close to a public footpath. I watched a barn owl feed her three young in a tree by using my zoom lens. She was unaware of my presence as I had arrived before she emerged from her nest for an evening’s hunting. Unfortunately, this no longer happens as the farmer has sown the surrounding fields with a crop in place of the rough pasture which provided the owl family with plenty of field voles. I did not help Stephen to obtain all of the footage, such as the foxes, or other amazing wildlife shown in this film, including badgers, barn owls, and the short-eared owl, because obtaining footage of this wildlife did not require the help of a field assistant. I would have been overjoyed to help with filming corncrake, or great yellow bumblebee, in Scotland where they have their last strongholds in the UK. But, my presence would have been a hindrance rather than a help for obtaining footage of the very shy corncrake! When I previewed the entire film for my opinion before it was released, the wildlife was often portrayed in such awe-inspiring detail that it was at times breathtaking and spellbinding. Watching this film made me feel as though I was there, too, gazing at the wildlife, because of Stephen’s minimal narration as he quietly and gently expresses his love of grasslands and their wildlife with an undercurrent of deep passion and joy. Many people have said this because the unhurried pace of his film absorbs and draws you in. Afterwards, I felt as relaxed and calm as when I have actually walked through a meadow. It was not until I finished watching the film I realised, yet again (as none of his documentaries has music), the only music to be heard was Nature’s song. I had not missed overdubbed music at all! He perfectly captures the summer song of a meadow. Although we began looking for the roe deer in May for this film, it begins sequentially in early March when meadows are charged for life, waiting for the spark of warmth and light that will set everything of. The first animals shown are intelligent corvids. Then roe deer with their grey winter coats blending into their surroundings, as young roe bucks stay together and have non-contact play fights. I felt so glad to have quietly contributed to parts of such an amazing film. To have worked with a wildlife photographer called the ‘poet of the camera’ by fellow, highly respected, BBC wildlife cameraman John Aitchison, and deservedly described as portraying ‘attention to detail as meticulously and lovingly recorded as the journals of Gilbert White’ by David Cobham, the naturalist and director of the film Tarka the Otter, was a such privilege. These are important abilities when you are trying to inspire an interest in wildlife and the conservation of a vanishing ecosystem. The many wildlife covered in this film took Stephen two years to capture on camera. 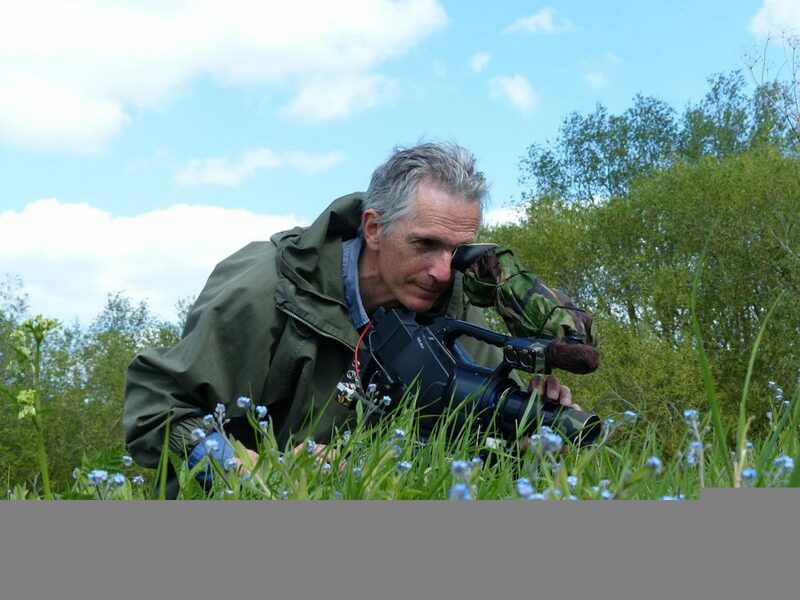 Again, patience is a major factor in this profession which demands knowledge of the wildlife you are filming for sequences such as the red-tailed mason bee. Weather is always a factor which may take a film into its second year, or when you have missed the seasonal behaviour of one species whilst filming another! I highly recommend this important film of a much loved micro world, which we should all care about saving for the sake of the wildlife who call this place home and with whom it is vital that we coexist for the well-being of all. Not because I was involved in the making of it. the rest of the world would get on pretty well. During the making of his two films, Stephen became a good friend whom I still seek advice from and whom I am always ready to work with. He is a great mentor. It is thanks to his concern for wildlife, kindness and expertise that the nearbywild.org.uk and watervole.org.uk websites were designed and implemented to inform and help people who seek to offer wildlife habitat, or who are keen to learn about the lives and needs of wild kin.